Hello my lovelies! 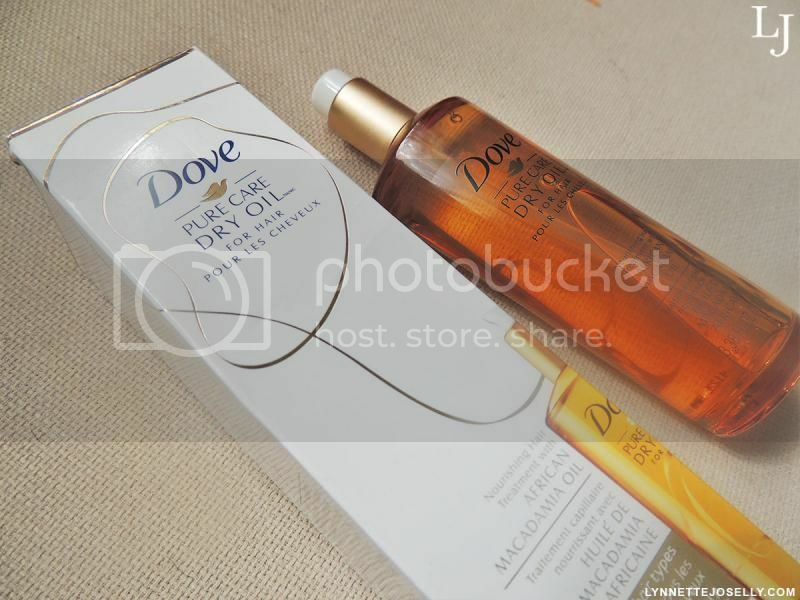 I was so excited when Dove contacted me to try out their new Dove® Pure Care Dry Oil line. The shampoo, conditioner and nourishing treatment are all infused with African Macadamia Oil. The oils penetrate into the hair which insures that it won't leave your hair looking greasy or feel weighed down. 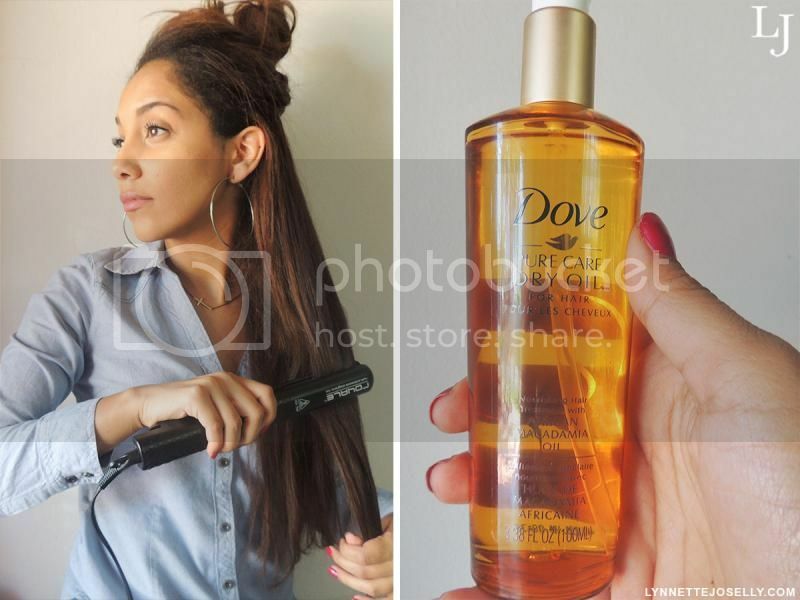 Today I will show you how to get a nice, straight, sleek hairstyle inspired by Dove Celebrity Hair Stylist, Mark Townsend. 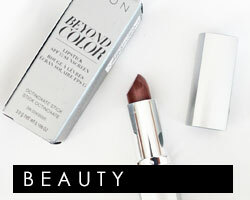 This look is perfect for my ladies on the go. Step 1 - Apply Shampoo & Conditioner: A nourished base is the key to a silky smooth style so let's start with the Pure Care Dry Oil Shampoo to gently cleanse the hair with a rich, creamy lather. Follow up with the Pure Care Dry Oil Conditioner to nourish, moisturize, and detangle the hair all while replenishing lost and damaged hair follicles. 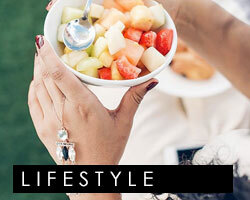 Step 2 - Apply Oil Treatment: While your hair is still damp, warm three to four pumps of the Pure Care Dry Oil Nourishing Treatment with African Macadamia Oil in your hands and then apply from mid-length to the tips. 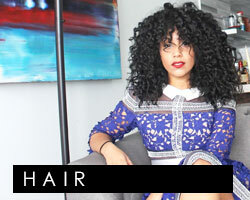 The oil will absorb deep into hair to protects it by adding silkiness, softness and shine. Step 3 - Blow Dry It Straight: After applying the Dove® Pure Care Dry Oil line blow dry your hair in sections with a round brush to create lots of body. 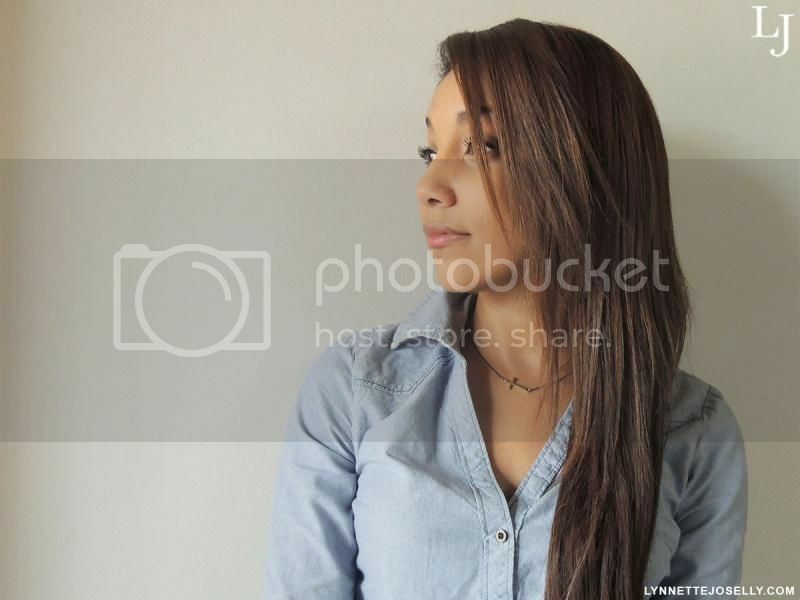 Once the hair is dry, use a flat iron on medium setting to avoid heat damage. Finish off by applying the Pure Care Dry Oil Nourishing Treatment to get rid of any flyaways and leaves the hair shiny and glossy. We dare you to try Dove Pure Care Dry Oil and fall in love with the touch and feel of your hair or your money back. 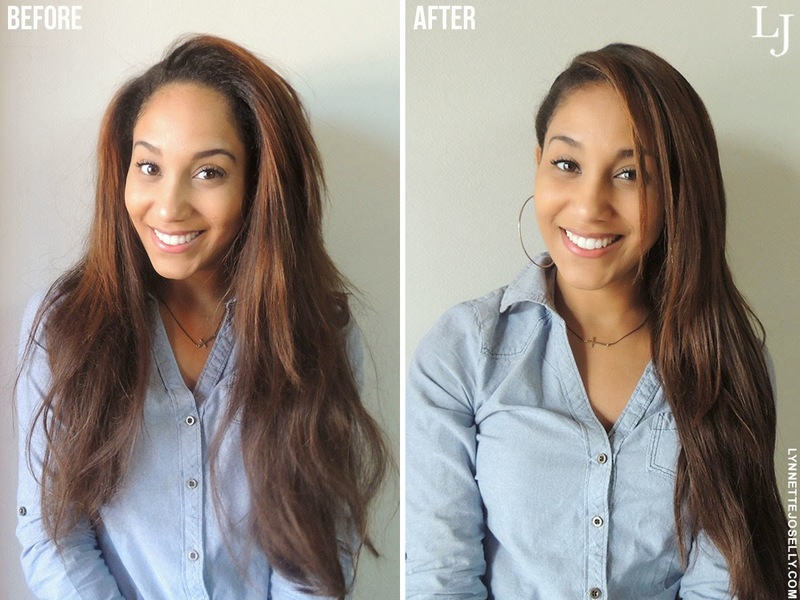 Share your silky results at #silkyhairdaresweeps for a chance to win $20,000 in prizes up for grabs! Visit Dove.com for more information. I was selected for this opportunity as a member of Clever Girls Collective and the content and opinions expressed here are all my own. No purchase necessary. Void where prohibited. 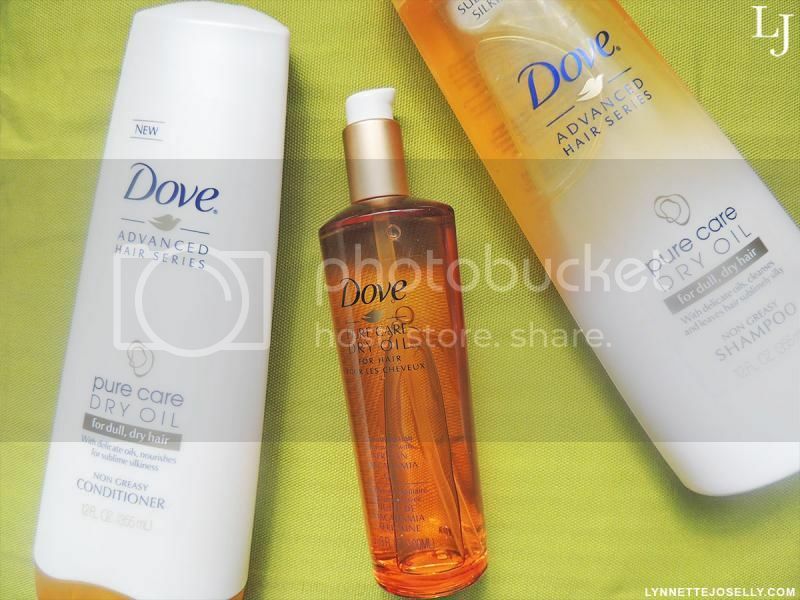 The Dove Silky Hair Dare Sweepstakes is sponsored by Conopco, Inc., d/b/a Unilever. Open to legal residents of the 50 U.S. & D.C., 18 & older. Begins 12:00 p.m. ET on 9/25/14 and ends 12:00 p.m. ET on 11/20/14. Click her for Official Rules. If you are not completely satisfied with the Dove Advanced Hair Series Pure Care Dry Oil system, Dove will refund your purchase (from 9/21 – 12/31). Visit hairmoneyback.com for details. Look at that before and after! Talk about stellar hair game. Yay you're back! Love your hair. Essential oils are always good for our hair and finding one that smells good, is light and doesn't weigh down hair is a plus. Thanks for the review! This does look like it works well for your hair. Looks great!